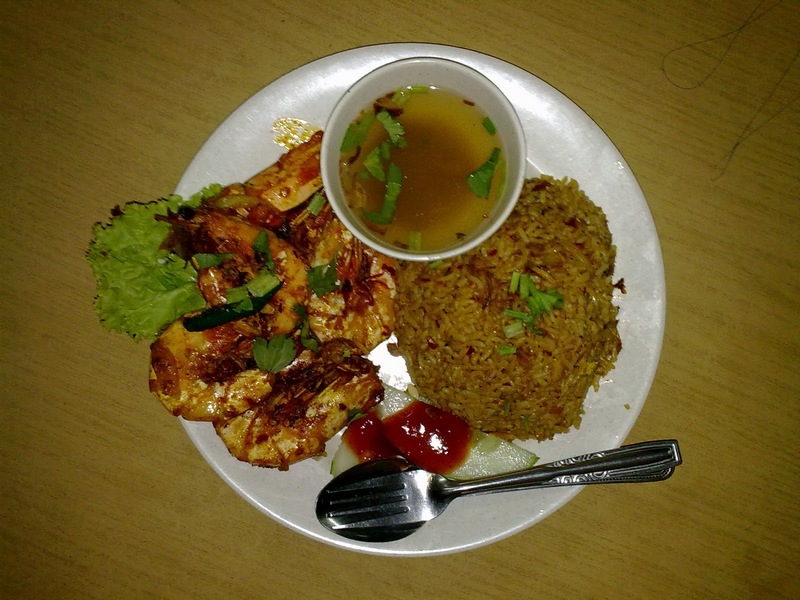 Most of the prawn caught in Tanjung Leman are King Prawn (Penaeus Latisulcatus) or "tua heh" in both Chinese and Malay. Here king prawn is sold in very high price to the middleman. 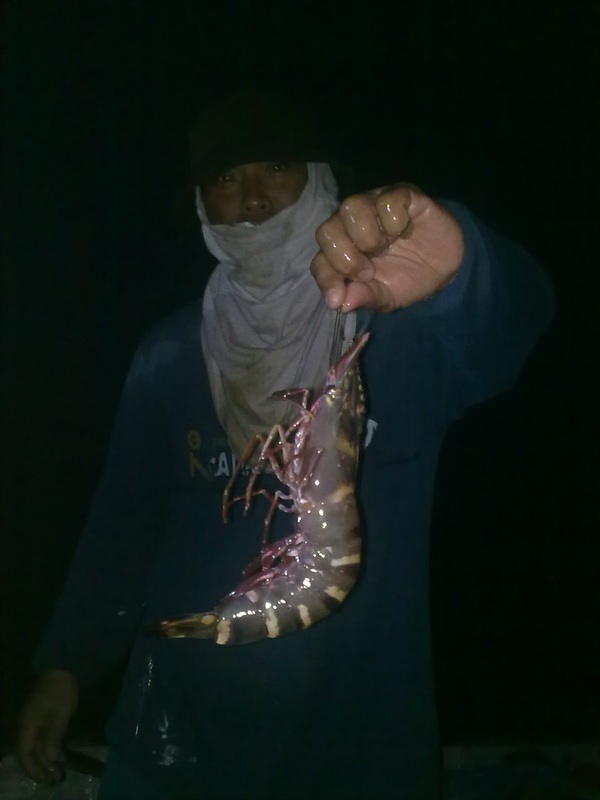 The fisherman uses the bottom drift net or better known here as the apollo net to catch this type of prawn. The apollo net is made from a combination of nylon and string.. 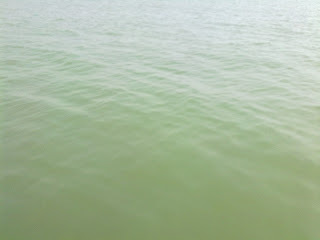 Besides prawn, croakers will also be caught in the net. Water type for prawn fishing is murky type as shown below. The prawn catch for last Saturday is considered somewhat satisfactory as we really only expected enough for dinner. Besides king prawn there are some sharp-rostrum prawn (swa-low) and giant tiger prawn. The prawn photographed below is by far the biggest giant tiger prawn ever seen in Tanjung Leman. Caught by another fisherman nearby, it should at least weight more than 500g. We got home very late at about 8:30pm and nearly not able to find the drift net in the dark. Dinner at L.O. Conner, our usual relaxing spot after fishing was the best tonight. 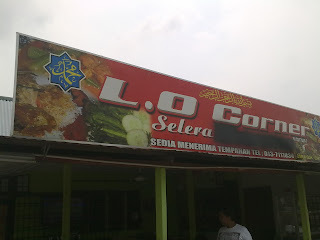 We're having the famous Nasi Goreng Tanjung Leman Special. Of course we changed the prawn with the one we just freshly took back.